Zoho Books is a smart online accounting software that will streamline your back office operations, automate business workflows and help you securely collaborate with your accountant online. Zoho Books is an online accounting software that will help you stay on top of your cash flow. You can track your sales and expenses, generate key financial reports like Profit & Loss, Balance Sheet and Cash Flow Statement. 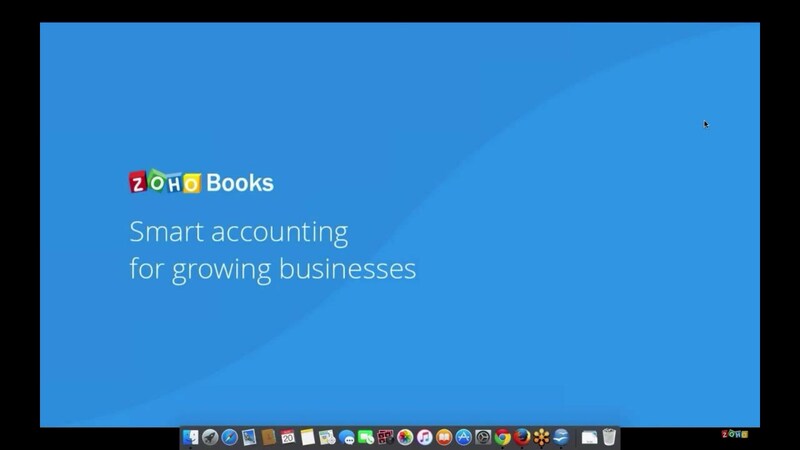 With Zoho Books, you can collaborate with your colleagues, accountants, and customers. With the Client Portal in Zoho Books, businesses can share their estimates, invoices and customer statements directly with their customers. Business owners can also automate a lot of their mundane processes like reminding customers about outstanding payments or sending notification about large deals using Workflows. Zoho Books is pre-integrated with Zoho Expense, Zoho Subscriptions and Zoho CRM, making it possible for businesses to avoid duplicate data entry in these apps. The integration with Zapier allows businesses to connect Zoho Books with their favourite app. With two-factor authentication available in Zoho Books, you can keep your financial data extremely safe. Zoho Books is available on iOS, Android and Windows app. Zoho Books app also is available in the Amazon app store making it easier for business owners to stay connected to their business from anywhere. Would you like to receive more information about Zoho Books?